Abstract: Introducing vocabulary has never been very problematic nor a doubt generating aspect in teaching a language, at least not in respect of what has to be done actually along this part of the lesson or how this stage should be approached. It cannot be said that it has ever been too much of a challenge, but rather a simple and straightforward phase in the economy of the English class. Business English vocabulary teaching methods have to make allowance for the specificity of the field, though. Thus, much consideration has to be given to the way Business English lexical units are introduced so that the technique used could produce the desired results into the students: acquisition of specific terminology, assimilation of meanings and development of skills that shall ensure accurate usage of the terms in the future. After an experimental semester, most adequate class approaches to serve the purposes abovementioned proved to be – rather non-academic, it may be argued – the word games. The current study presents the detailed steps of two distinct teaching methods used and the comparative results obtained with the two groups of students submitted to the experiment. Along the Business English courses in one semester, there were four vocabulary introduction lessons. The nonconformist technique of word games was implemented to one of the two groups of students while the other was taught the regular style. The comparative study focused on several aspects, from the observation of the class reactions and participation along the process of teaching, i.e. response to the didactic process during each class, to the checking of the effects of both types of implementation, namely assessing assimilation of the previously taught material in terms of knowledge of vocabulary and correct interpretation, by random tests and by final test results. If teaching methodologies regularly claim that the general to particular approach is the most effective, here a vice-versa technique won grounds, inciting, stirring the emulative spirit and inducing a natural assimilation of vocabulary by engaging in entertaining activities. Abstract: A growing segment of Romanian women are becoming passionate about fashion, therefore they are increasingly interested in fashion magazines and products. The incredible prevalence of English in Romanian media – both in written and spoken form – is at first shocking to a native English speaker. Phrases that seem to make no sense or that are not relevant to what they are attached to are seen everywhere: on t-shirts, as part of television advertisements, and in Romanian magazines. In this paper we assert that the English in Romanian media (fashion magazines) is more complicated than that; sometimes it is mainly decorative but it is able to communicate as well. Over the years, there have been many studies which dealt with anglicisms in Romanian, especially in science and information technologies. Yet, in spite of the growing number of English terms incorporated daily by the language of fashion, this has received less attention in lexicographic and terminological studies as compared to other areas, such as science and business. There are many reasons for which Romanian has not only adopted English words with new meaning and usage, but also incorporates other forms based on English patterns which users seem to consider more attractive or more accurate. More specifically, this paper analyses how English mixing contributes to self-distinction through fashion. We will analyse the Romanian language of fashion in three Romanian fashion magazines- ELLE, Harper’s Bazaar and Marie Claire -, which has for some time been using English words with different meanings, or even created Romanian words that look like and are pronounced like English words. The result of this study shows that these English mixings depend on the fashion-related quality of the selected magazines. The findings of this study imply that English is regarded as a ‘stylish language’ and that this general recognition leads to the acknowledgement of the prestigious status of English in Romania. Abstract: A crisis looms on the horizon for graduate programs in foreign languages. It is evident in ever tightening budgets, institutional demands for cross departmental collaboration, interdisciplinary courses, community service-learning, online courses and majors, greater enrollment and retention, and student needs for applied language courses beyond those offered at the undergraduate level. Symptomatic of greater changes in the job market and society impacting the restructuring of higher education across the board, this crisis threatens to render graduate language programs as traditionally conceived obsolete. Meeting the current challenge, however, will require a critical reflection on not only existing course content and delivery, but also on the very purpose, potential value, and goals and objectives of graduate foreign language programs. To this end, this article presents a graduate level Spanish course combining civic engagement and Language for Specific Purposes (LSP), titled “Teaching Spanish for Specific Purposes and Civic Engagement.” (SSP) as well as model for assessment. This course serves as a model to graduate foreign language programs, aims to inspire interdisciplinary collaboration, and exemplifies the innovation needed in meeting current needs and challanges. In the process, this paper assesses the current state of graduate foreign language programs and considers the potential value of integrating LSP courses as a core component of graduate curricula. I argue that the development of such courses and the broadening of our thinking with regards to aims and objectives of graduate programs in foreign languages are imperative if we are to remain relevant for students, institutions of higher learning, and society at large in the ever-changing world of the 21st century. Keywords: Service-learning; professional communication in foreign languages; Foreign language deficit; cross-cultural communication; languages for specific purposes; curricula development. Abstract: At present, there is a gap between the need for foreign language skills and their availability in the U.S. marketplace, resulting in a monolingual American in a multilingual global workplace. The Language Enterprise, a partnership of government, academia, and the private sector, can collaborate to effectively address the U.S. foreign language deficit and to close the gap between the availability of foreign languages skills and the need for them in the U.S. workplace. High profile partnerships, such as the “Many Languages One World” (MLOW) Essay Contest and Global Youth Forum, and advocacy initiatives such as the American Association of Teachers of French (AATF) Commission on Advocacy, the National Organization of Business Language Educators (NOBLE), the Joint National Committee for Languages and the National Committee on Languages and International Studies (JNCL-NCLIS) will be described. 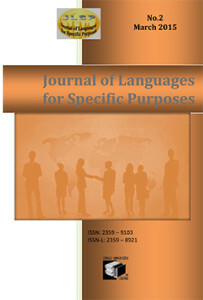 This article will also examine career opportunities as language specialists and other careers enhanced by foreign language skills, as well as the importance of creating a sustainable framework for motivation in order to empower U.S. students studying foreign languages to achieve the level of foreign language proficiency needed in the workplace. In order to bring about the needed paradigm shift, a sustainable framework for successful foreign language learning would also require pre-professional and career-oriented programs in foreign languages included under the umbrella of Languages for Specific Purposes (LSP) and Business Language Studies (BLS). The recommendations of the Modern Language Association report, “Foreign Languages and Higher Education: New Structures for a Changed World,” with its proposed transformation of the traditional 2-tier system into an “integrative approach with multiple pathways to the major, clearly demonstrate the importance of programs in Languages for Specific Purposes (LSP) and Business Language Studies (BLS). Conclusions and future needs also include the significance and importance of high-profile partnerships such as “Many Languages One World,” (MLOW), the establishment and enforcement of foreign language requirements, the importance of heritage language speakers, and the necessity for a unified strategic advocacy campaign bringing together all sectors of the Language Enterprise. Keywords: foreign language deficit; language enterprise; advocacy; many languages one world; language services; languages for specific purposes; business language studies. Abstract: The aim of this article is to reflect on the notion of authenticity and the use of authentic materials in English for Specific Purposes (ESP). In the professional context, ESP requires the use of specialized and authentic documents. Within the framework of a professional language for specific purposes program, this article firstly proposes a definition of the notion of authenticity before undertaking to examine various forms and applications of authentic documents or tasks. The author also proposes the conception of a new paradigm model for authenticity in the shape of a diamond, which is based on the synthesis of existing qualitative research studies. In this paradigm, authenticity and the language teacher are at the core of language teaching which brings together the learners (and their needs), the professional tasks and the authentic documents. In order to better appreciate the usefulness of authentic documents – such as video, sound, texts and photos – in the ESP context, the pedagogical approaches and criteria which are involved in choosing appropriate authentic materials and tasks are also shared. In addition, the article offers insight into current research on how to successfully integrate authentic materials into the ESP teaching environment through the use of film and television series. The critical research and findings of this article are of use to teachers of language (for specific purposes teachers) or language didacticians who wish to focus on the use of authentic documents when preparing their syllabus. Finally, this article shows that simplifying authentic documents is not always in the best interest of learners who are preparing for careers which require candidates who are professional and ready for employment. Keywords: Authenticity; authentic documents; English for Special Purposes (ESP); language didactics; pedagogical use of film; motivation. Abstract: The focus of my research is to analyse, to describe and to explain the interference errors in the area of​​ morphosyntax that occur in the written works of the Macedonian students who are studying German as a foreign language at the Faculty of Philology, the University “Goce Delčev” in Štip, as well as to describe the learning difficulties in studying and acquiring German as a foreign language (GFL). The work consists of two main parts, a theoretical part and a practical part. In the theoretical part, the basic terms and definitions that are closely connected to the subject of this paper are discussed in details. Since the focus of this work lies in particular on the interference at morphosyntactic level, we will ignore the spelling errors, although there were a number of them in the examined texts. Above all, the process of intralingual transfer is brought to the foreground. The results of this paper can serve as a basis for the preparation of teaching materials and GFL-techniques that will facilitate the Macedonian students’ acquiring German language. In the practical part, the results of the analyzed interference errors in the written paper of the students, were described and explained. A main focus is laid on the morphosyntactic differences between the Macedonian and the German language system and the interference errors in the written works of GFL-students during the foreign language acquisition process. 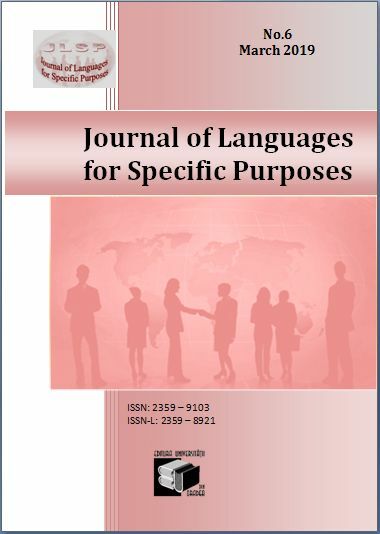 Abstract: This paper elaborates a theme at the interface between linguistics and literature on the case example of a novel which belongs to the immigrant literature as part of the contemporary Austrian literature. The Croatian author Ana Bilic describes in her first novel written in German language Das kleine Stück vom großen Himmel (The small part of the big sky) published in 2002 the love relationship between a Croatian unnamed female student and the Austrian student Ernst which takes place in Vienna. The unusual thing in this novel is the fact that in numerous sentences and passages the author uses a strange German language which is characterized by interference mistakes, or to be precise a Croatian-German language variation which more or less differs grammatically and lexically from standard German language. In the paper this consciously alienated language is being investigated concerning the influence of the Croatian mother tongue of the author, but also concerning common mistakes while learning German language. The paper also analyses the motivation of Ana Bilic for such in the context of immigrant literature unusual language use, which is also connected with the plot of the novel. Thus qualitative as well as quantitative methods of analysis are being used, whereby the former ones refer to the content and the latter ones to the frequency of interference mistakes in the book. The interference mistakes belong on one side to the fictional (text-internal) world and on the other side to the factual (text-external) level, because they reflect the plot of the book and establish on the level of content and language a connection between the first-person narrator and the author, who also had to learn German after her arrival to Vienna. As a result of this most interference mistakes appear in the first chapters of the novel, which reflects the first phase in German language learning of the female narrator. Further on in the novel the quantity of the mistakes decreases parallel to the rising foreign language abilities of the narrator, which holds true for the less frequent language acquisition and competence mistakes. The aim of the Ana Bilic is obviously to show by means of the plot and the language use the mechanisms and the process of foreign language acquisition, whereby she makes an innovative contribution to the contemporary German-speaking immigrant literature. Abstract: The use of visual material does not imply necessarily the comprehension of the message included in it. It is necessary to go deeper, identifying the meaning enclosed into an expression using a visual code. In a formative context this aspect is even more relevant because the usage of visual material is growing due to also the new technologies applied to education. Therefore, this article highlights the main characteristics of a visual material for second languages acquisition, that is the visual vocabulary. First of all, the topic will be introduced through a semiotic overview about the usage of pictures in learning, underlining the process through which the meaning is spread across visual material. Indeed, the investigation of meaning-making includes the study of sign processes – that is semiosis – like analogy, metaphor, symbolism, likeness, etc., all aspects that characterize a linguistic code and a visual code too. Then, a literature review focuses on the main studies concerning the teaching and learning of vocabulary in a second language, especially in the field of the French lexicography. Finally, considering the characteristics of the visual material from a semiotic perspective, the final paragraph provides an example of a visual vocabulary of Italian as second language. This vocabulary is thought for foreign workers in the field of tourism and hosting that need to learn Italian for specific purpose. Thus, considering the proficiency level of that type of learners (A2, according to the CEFR) and their limitation in terms of time spent for learning, the vocabulary represents an effective support material in the process of learning and retaining vocabulary and fixed expressions. Therefore, this article aims at contributing to the debate over the usage of visual material in the context of learning and teaching a second language, due to the fact that nowadays the society offers us a wide range of visual stimuli. Thus, as users or designers of visual material, we have to be aware of their evocative power and we have to be able to interpret them and not just to look at them in a passive way. Acest articol a fost postat Thursday, March 5th, 2015 la %I:%M %p	in categoriile 02-February-2014, archive. Puteti urmari comentariile aduse acestui articol prin RSS 2.0 feed. Responses are currently closed, but you can trackback from your own site.